Do you remember your first knitting ? I remember mine. 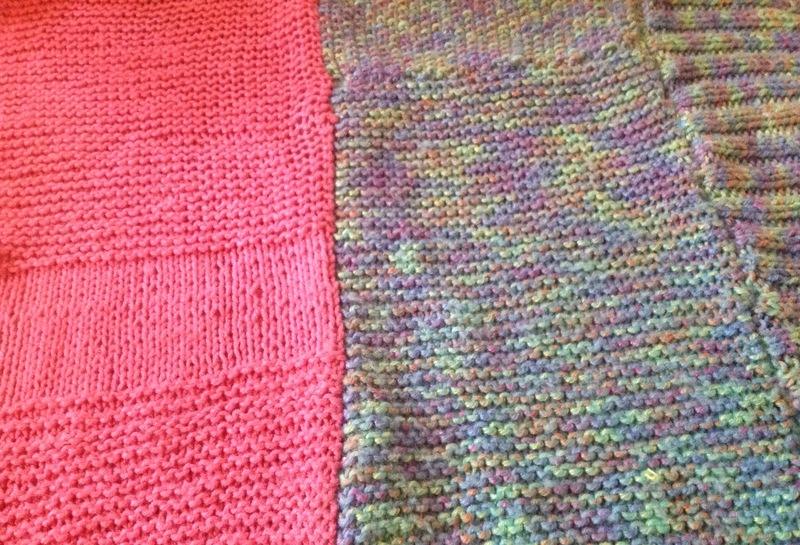 I kept the swatches and put them together to make a throw. It probably seems odd but I love this throw. When I look at it I remember how I struggled with those first stitches. The pink was my very first. I could not count rows... 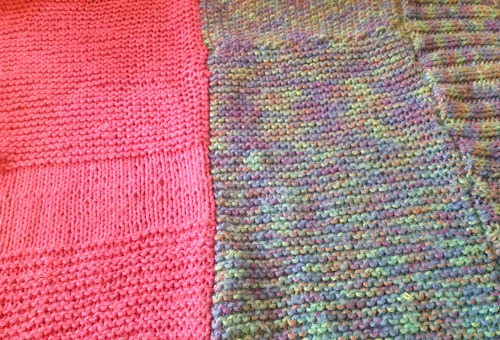 I could not tell the difference between a knit stitch and a purl stitch. The awakening I had when I read a book that explained those differences... How it made knitting so much easier to be able to read my knitting. I remember that then the only place I knew of to buy yarn was Hobby Lobby. I remember thinking yarn was so expensive...little did I know.